The Free 4 Step Diagram Template for PowerPoint is a remarkable design for business, schools and casual presentations. 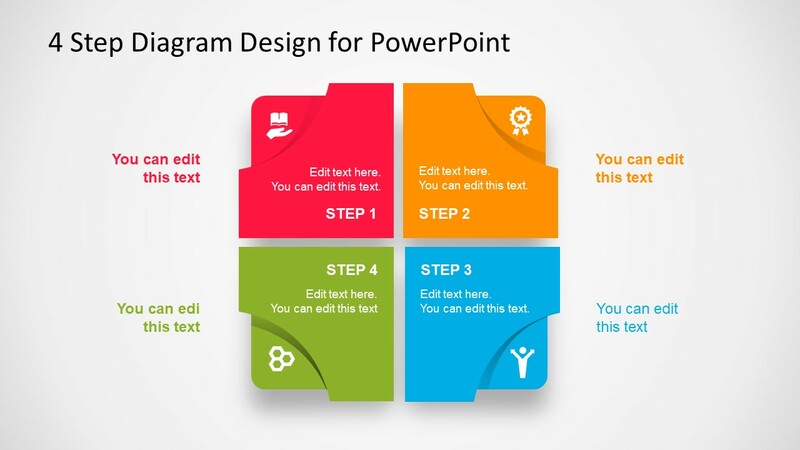 The PowerPoint diagram template helps brainstorm for creative ideas and innovative concepts. The four-segment presentation shows square shapes in 2X2 format of a matrix. Therefore, this free template can help demonstrate various possible models including the matrix like SWOT. Additionally, create a 4-phase cycle diagram to display a technical or business process. Or, simply present types, categories or sub processes of a terminology from food chain to spacecraft. 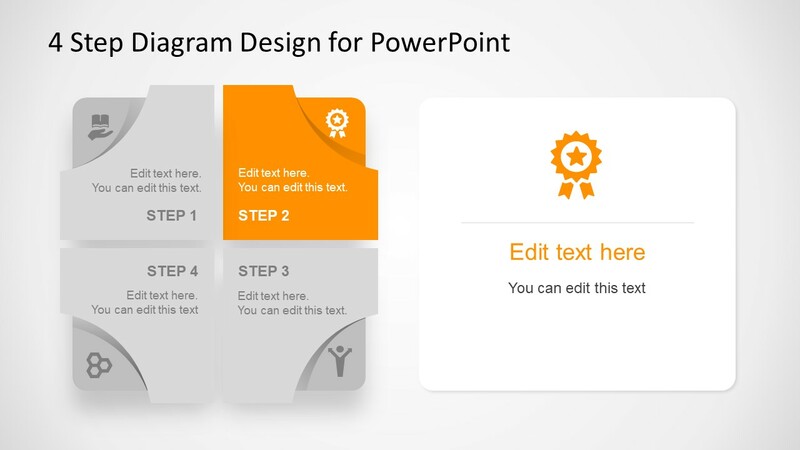 Regardless, this PowerPoint helps make the presentation attractive for the audience. 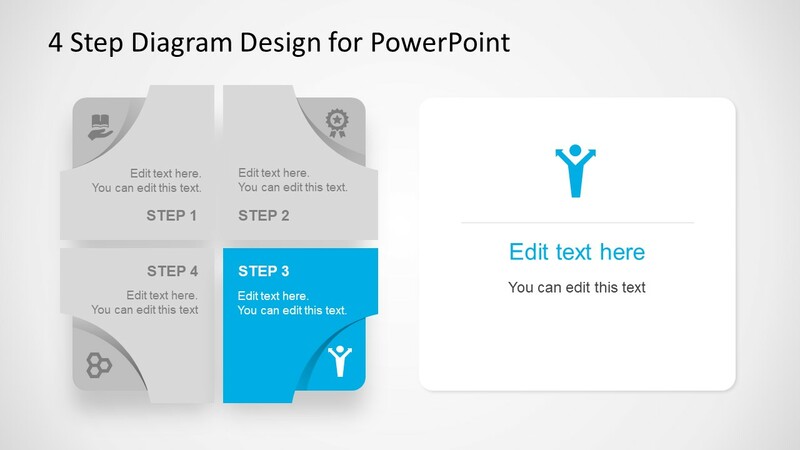 The SlideModel also has an impressive template of leadership success profile based on the creative design of this PowerPoint. This amazing Free 4 Step Diagram Template for PowerPoint features 4 editable boxes with cool infographic icons. 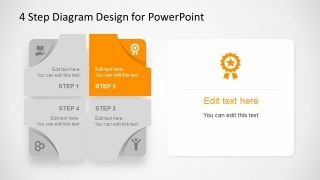 These boxes are layer structure PowerPoint shapes which enable users to modify the design, shadow and 3D effect easily. For instance, explain the organization structure of planning, strategy, monitoring and goals. Insert the relevant information in text placeholder given for title and description. Change the colors of all four segments as require. Customize the shape size or icons without affecting the overall image quality and a lot more. 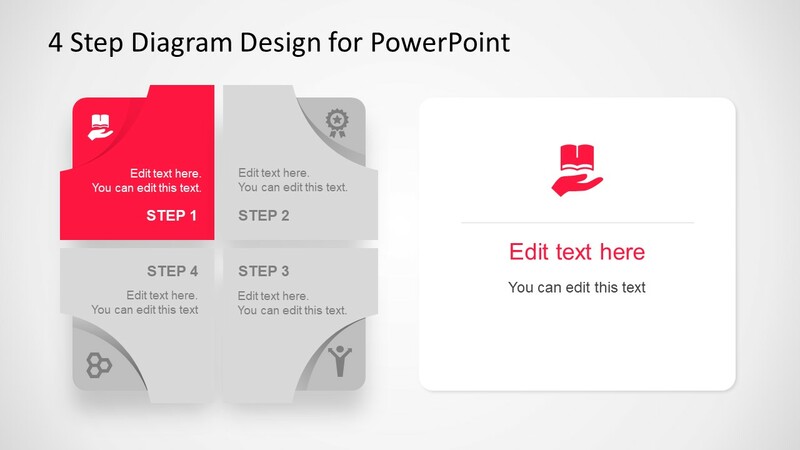 This free presentation template diagram of 4 steps makes it easier to break down a problem in more understandable units. Also, it saves time and effort of company’s stakeholders by providing more space to elaborate. The template diagram of 4 step free PowerPoint have additional 4 slides. It helps audience focus on one section at a time. 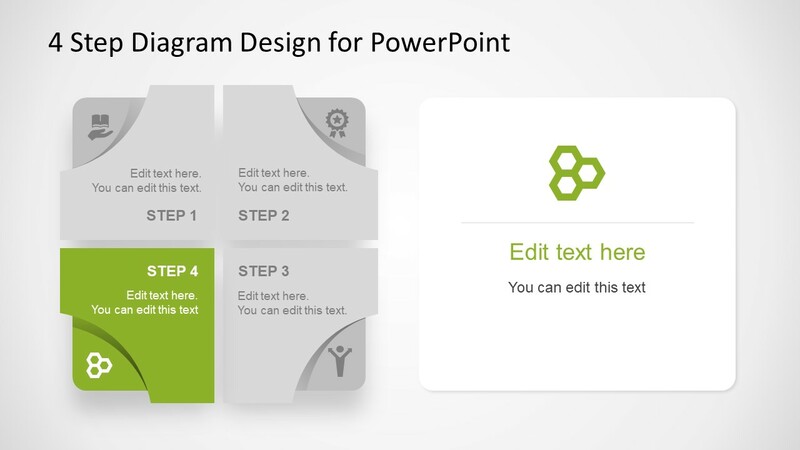 These slides highlight individual segment to help visualize the given diagram content. Further, there are hundreds of possible ways to use this 4 step process diagram for work. For instance, the entrepreneurs can present the social and economic outcomes of their business idea. Similarly, manager can explain the product features to the team.